Information about upcoming crochet and craft events, classes and workshops. Information about Learning Pembrokeshire Classes. 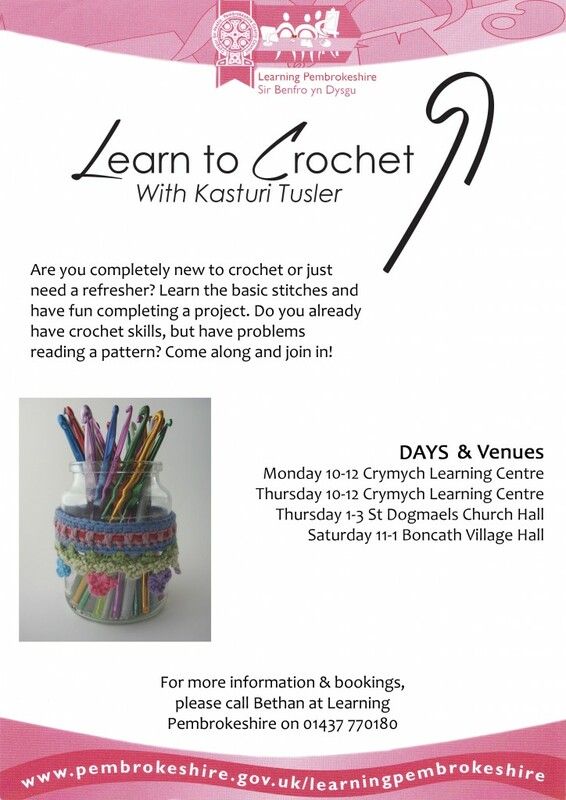 If you are interested in coming to any of the classes run by Kasturi you need to contact Pembrokeshire Learning – here’s a list of crochet courses. Get all the dates and details in your inbox. Join our mailing list – the main way we announce dates and times of classes and workshops.